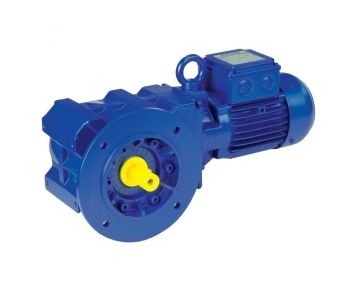 A great reliable series of hollow shaft motors, the BK series is a great solution in reliability, efficiency and economy. Made of heavy duty steel with a state-of-the-art gearbox housing, this hollow shaft motor can tackle tough jobs in even the harshest of conditions. These hollow gearmotors feature hollow shafts available throughout their whole product line, available in even the smallest sizes for easy cost-effective application. They are unparalleled in their reliability and variety of features. As experts in the gear motor industry, at Bauer GMC we have spent years innovating and improving our product line. The BK solution for hollow motors is one of our finest selections and comes highly recommended from us for your next application.